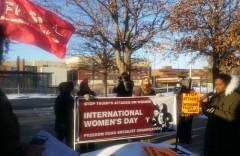 Minnesota International Women’s Day rally | Fight Back! Other speakers included CeCe McDonald, nationally recognized LGBTQ activist; Leila Abdenabi of the Palestinian Youth Movement; Sue Goodstar from Native Lives Matter; Angelique of MIRAc; Natasha Phelps of the MN Women’s March, Olivia Cruz of SDS, and Misty Rowan, of the Anti-War Committee. 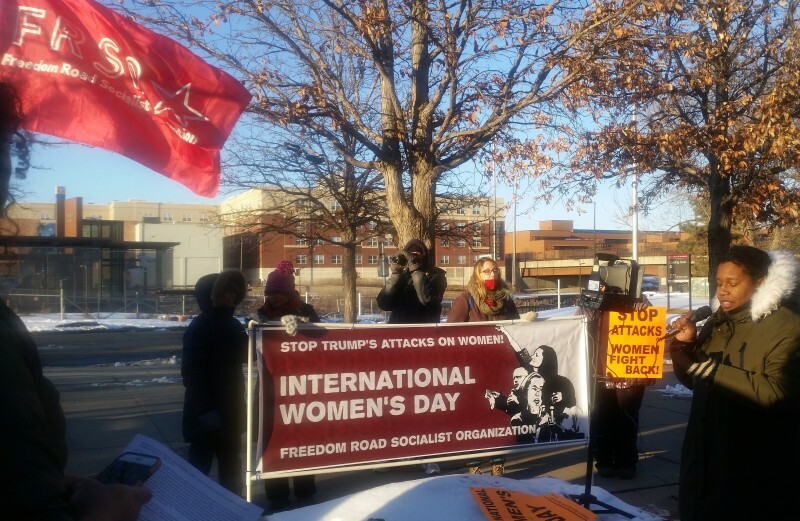 Organized by the Freedom Road Socialist Organization, the event was endorsed by Twin Cities Coalition for Justice 4 Jamar, Anti-War Committee, Women Against Military Madness, Minnesota Peace Action Coalition, Welfare Rights Committee, Native Lives Matter, Minnesota Immigrant Rights Action Committee, Students for a Democratic Society (SDS) at the University of Minnesota, and Women's March MN.